Through an overarching collaborative strategy that brings together members of APA and the American Public Health Association (APHA), the Plan4Health project is building local capacity to address population health goals and promote the inclusion of health in non-traditional sectors. Coalitions made up of APA chapters, APHA affiliate groups, and others are working to set a new paradigm for healthy planning. By leveraging complementary expertise and influence, this project seeks to expand the use of innovative tactics to address tough problems — making communities healthier and more equitable. 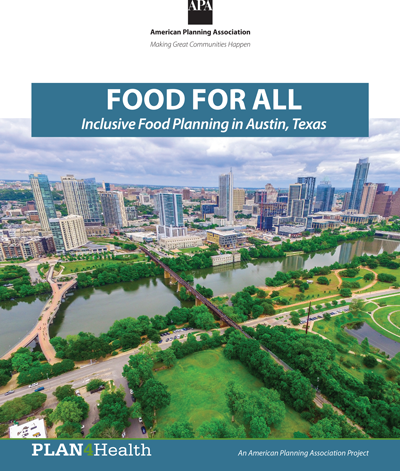 The Austin, Texas, Office of Sustainability partnered with the University of Texas to create the Food for All plan, using an approach that pilots the development of inclusive neighborhood food system planning. This report examines the project's focus on community engagement through surveys and focus groups, and bringing policy recommendations back to neighborhood residents and retailers before making them final. The project website features in-depth descriptions of all 35 Plan4Health coalitions. For a sample of Plan4Health products, check out the sections below. Anchored by American Planning Association (APA) chapters and American Public Health Association (APHA) affiliates, with funding through the Centers for Disease Control and Prevention's Division of Community Health, Plan4Health supported creative partnerships to build sustainable, cross-sector coalitions. The 35 coalitions participating in the Plan4Health project are working to increase access to nutritious foods or to increase opportunities for physical activity. All coalitions include planners and public health professionals as well as a range of community-based organizations, such as universities, local governments, and others committed to building healthy, vibrant communities. Additional information about the Plan4Health coalitions, including mini-webinars, videos, and podcasts, is available on the Plan4Health Peer Learning Network. 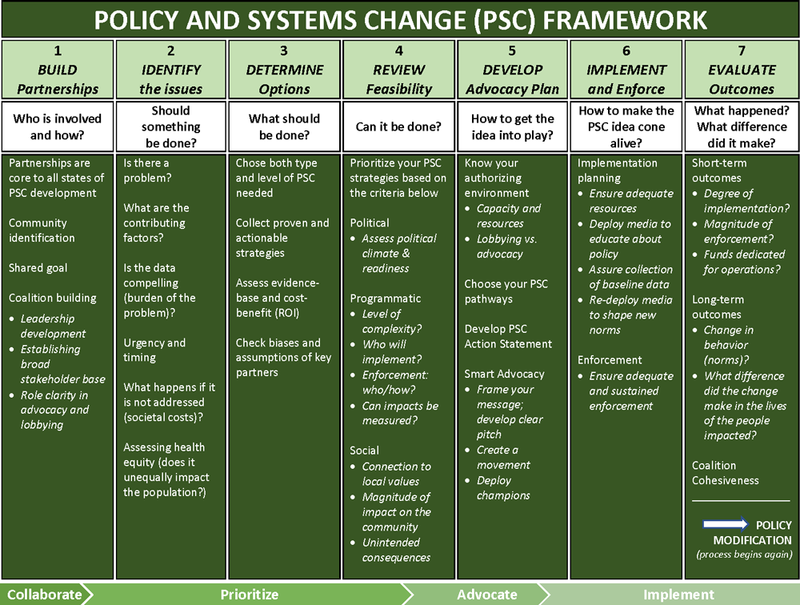 For more information about the final iteration of Plan4Health, check out Planners4Health. Plan4Health impacted communities across the country. From regions to cities to neighborhoods, coalitions advanced strategies to make it easier to be active and to eat healthy food. The map below represents established or emerging coalitions from both cohorts of Plan4Health. To learn more about each coalition, select the links below. CDC's Social Vulnerability Index uses U.S. Census variables at tract level to help local officials identify communities that may need support in preparing for hazards, or recovering from disaster.